Branch events for 2019 will be added as they are notified to the webmaster. Inkberrow Fun Day. Midland Branch's flagship event. All welcome. The Club is divided into geographical areas, each served by a branch. 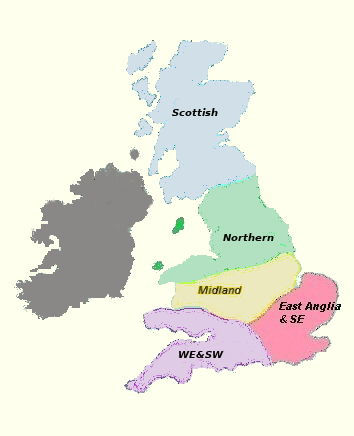 There are five branches - Scottish, Northern, Midlands, East Anglia & South East and West of England & S Wales. Membership of the Bearded Collie Club automatically confers affiliation to the appropriate area branch. For a nominal additional annual fee, associate membership can be enjoyed in one or more of the other branches. Branches organise events throughout the year in their respective areas to cater for Beardies and their owners. All members of the Bearded Collie Club are welcome to participate in ANY branch's activities. The Club's Spring and Autumn Open Shows are held in the Midland and Scottish Branch areas respectively and are organised by the main club with assistance from the appropriate branch. 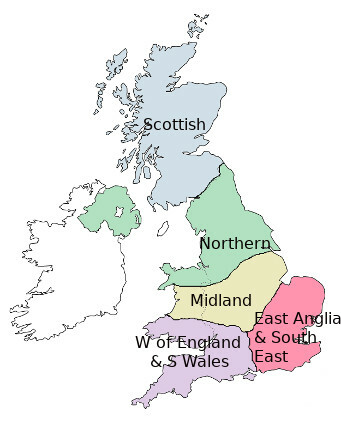 Click on the appropriate region of the interactive map to find out what is going on in your area.